Best Buy is having an Apple promotion, but you won’t find the best savings on brand-new gear. If you want to save big on your next MacBook, iPad, or Apple wearable, you need to look at open box deals. Much of the time, the only difference between an open box and a new factory-sealed product is the lack of shrink wrap on the outside of the box. You might not get to put the first fingerprint on whatever you buy, but that doesn’t mean it’s an inferior product. Let’s take a look at the ins and outs of buying open box, and some of the best deals you can grab now. Why Use Best Buy Open Box? 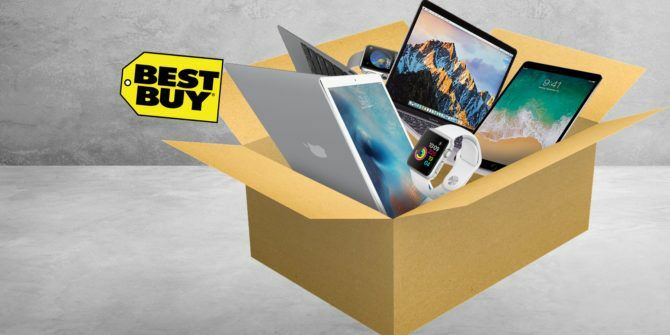 If you’re looking to save money on a purchase, Best Buy’s open box deals are the way to go. They’re always cheaper than brand-new products, and the only downsides are cosmetic in nature. Every open box item is graded as per its condition, and priced accordingly. Items rated at Excellent or better are pretty much identical to their brand-new counterparts. Some have even been cleaned professionally and returned to as-new condition (shown by the Excellent-Certified rating). Satisfactory describes an item with no obvious cosmetic damage or wear and tear. You might want to inspect items that fall into the Fair category since these items will have some cosmetic damage. What About Best Buy’s Open Box Warranty? All open box items sold at Best Buy include a standard one-year warranty, with some exceptions. This is because Best Buy views them as brand-new items, and thus they sell with the consumer guarantees you’d expect from the rest of the range. For contrast, items that are pre-owned or sold as refurbished are do not include this limited warranty. In addition to the retailer’s warranty, many items fall within the service period of the original manufacturer’s warranty. This will largely depend on how long the item has been on the shelf, so make sure you inquire before buying. Items received within 60 days of the original purchase date qualify for Apple’s aftermarket warranty and insurance plan, Apple Care. Plus, if an item already has Apple Care applied to it, this policy transfers to the new owner. 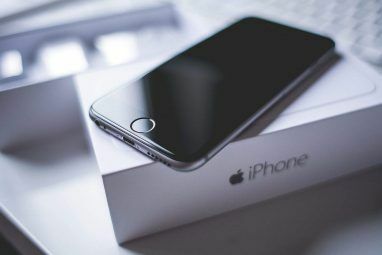 Unlike most after-market warranty schemes, Apple Care is actually pretty reasonable and offers a fair level of accident protection and technical support. Does Best Buy Have an Open Box Return Policy? Yes, Best Buy’s regular return policy applies to all products: new, clearance, open-box, refurbished, and pre-owned. You can return most products within 14 days. However, if you’re an Elite or Elite Plus member of the My Best Buy program, this extends to 30 and 45 days respectively (excluding smartphones or other devices that required activation). Be aware that some items are subjected to restocking fee. This is $35 for phones and other activated devices, and 15% of the purchase price for other goods like cameras, lenses, and drones. You can find full information about which products are affected by what policies on Best Buy’s Returns and Exchanges resource. Apple’s rumored MacBook Air redesign is due sometime in late 2018. But if you need a lightweight laptop that won’t break the bank, you might want to pick up the current model. 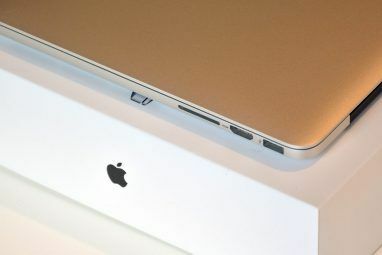 The MacBook Air remains an excellent value for the money, and will go down as one of the company’s best computers of the last 30 years. The laptop received a hardware refresh in June 2017. The biggest drawback of a MacBook Air is its display, since Apple hasn’t yet updated it with a Retina panel. That doesn’t stop it being a reliable piece of hardware with fantastic battery life to boot. If you need a mobile macOS powerhouse, then the MacBook Pro is your best option. The range was updated in June 2017 with a fresh round of processors and some GPU enhancements. This particular model houses a seventh-generation Core i7 processor and a Radeon Pro 555 with 2GB of VRAM. Other features include the slightly-gimmicky MacBook Pro Touch Bar, genuinely useful Touch ID, 10 hours battery life, and the most colorful display of any Apple laptop. The biggest drawback is the meager 256GB SSD and a reliance on USB-C for everything, even power. The MacBook Pro is great, but if you want real power then you’ll have to sacrifice portability. The 27-inch iMac is Apple’s largest model, and currently the most impressive range of computers barring the prohibitively expensive iMac Pro (which you probably don’t need). This is the latest iMac and it’s ready to chew through demanding tasks like 4K video editing, giant RAW image files, and even the latest games via the wonders of Boot Camp. A Radeon Pro 580 with 8GB of VRAM drives the gorgeous 5K Retina panel, while the 2TB fusion drive gives you the speed of an SSD with the capacity of a traditional hard drive. Can the iPad Pro replace your laptop? Probably not, but it can take up a lot of the slack. Coupled with the Smart Keyboard, the iPad Pro is more like an ultra-thin laptop with a touchscreen than a traditional iPad. You can also get the Apple Pencil if you’re artistically inclined or love handwritten notes. This is the larger of the two iPad Pro models, so it’s better suited to those who appreciate a larger drawing space and a wider screen for multitasking. It’s surprisingly well-priced considering the serious hardware inside, and the changes made in iOS 11 and the introduction of an iPad dock really takes tablet productivity to the next level. If you’re looking for something a more fun and a little less work-oriented, then the classic iPad (as it is now known) is a steal at little over $300. While tablet sales have waned over the years, tablets still have their place on our desks, coffee tables, and kitchen counters. The 9.7-inch iPad is the perfect size for throwing in a bag or reading on your lap. All new iPads include proper split-screen multitasking, so you can run two apps at once and get more done. This is a lightweight, thin, and refined version of the tablet that started the craze. In many ways, the Apple Watch Series 3 with cellular upstaged the iPhone X as Apple’s most forward-thinking device of 2017. It doesn’t have Face ID, nor does it radically reinvent the smart watch, but it is Apple’s first wearable cellular device. You might only get a few hours of battery life when using all its features, but not being tethered to your phone is surely the future of wearables. This is the standard aluminium Apple Watch, but the internals are as good as any other model out there. The Nike+ version of Apple’s wearable is virtually identical to the vanilla offering, aside from a unique watch face and a few funky bands. If you’re already using Nike+ gear, this might appeal to you. And if you’re looking for a sportier version of the Watch, look no further. While open box products lack the shiny veneer of sealed full-price items, they’re a great way to save some money. Best Buy’s open box policies are quite good, with a full year’s warranty and a fair return policy. If you’re looking for a cheap MacBook 5 Ways to Save Money When Buying a MacBook 5 Ways to Save Money When Buying a MacBook Looking to get a MacBook for cheap? 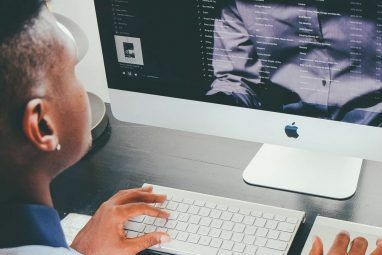 Here are some useful tips for saving the most money when you buy a Mac laptop. Read More , this is one of the only ways to save money beyond the second-hand market. Explore more about: Apple Watch, Best Buy, iMac, iPad, MacBook.